If you have missing or damaged teeth, dental crowns and bridges can work together to give you back your smile. However, understanding these important dental restorations may seem overwhelming. Luckily, your Chatham, NY dentists Drs. Domenic Riccobono and Vicki E. Cohn can help answer your questions and gather the information you need to determine if crowns and bridges are right for you. Find out more with your dentist at Countryside Dental. A crown is a cap-like dental restoration which fits over the top of a tooth. Crowns are often used after root canal therapy to stabilize and protect the large filling left behind. However, crowns have other uses, such as restoring the biting surface of a weakened or worn tooth, protecting a damaged tooth, replacing a missing tooth as part of a dental implant, or improving the appearance of a tooth. A bridge replaces a missing tooth. 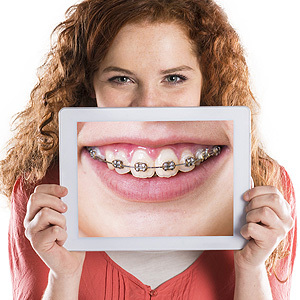 Bridges benefit those who have a gap between two natural, healthy teeth. A permanent bridge uses a dental crown on either side to anchor the bridge into place on top of the two surrounding teeth. Removable bridges use metal clasps to latch onto the surrounding teeth. The process of creating a crown or bridge is similar. A technician at a dental lab uses a mold taken of your mouth as the basis for the design of your crown or bridge. The technician carves the porcelain restorations specifically for your mouth, ensuring the crown or bridge fits in flawlessly. Your dentist chooses one of many shades of porcelain for your crown or bridge so that it matches your teeth to achieve an even-colored smile. Caring for your dental restorations is easy. Just like with your natural teeth, you should brush twice daily for at least two minutes. Break the mouth into quadrants and spend at least 30 seconds on each section. Floss at least once a day, using a separate strand of floss for each quadrant of the mouth to cut down on the spread of bacteria. Bridges require that you also floss underneath them using special threading dental floss. Your Chatham, NY dentist can help you learn the best way to care for your restorations. For more information on crowns and bridges in the Chatham, NY area, please contact Dr. Domenic Riccobono, DDS and Dr. Vicki E. Cohn, DDS at Countryside Dental. Call (518) 392-5231 to schedule your consultation for crowns and bridges today!